Do you ever wonder why it is you don’t exactly totally fit in? Do you ever unroll your yoga mat to find glitter on it? I have wondered this a lot. “What the bleep is the matter with me?” Is one of the more harsh ponders. A preferred thought thread is, “Wait. What is that wild feeling inside of me? Maybe I should go dance naked on the dewy grass at dusk to feed it.” I have found glitter on my yoga mat. And I have always loved faeries a lot. After careful contemplation and thorough investigation I have come to realize I am part faerie. It is the most plausible explanation for why I, am I. Little explanation here. Human folks can just be human folks. 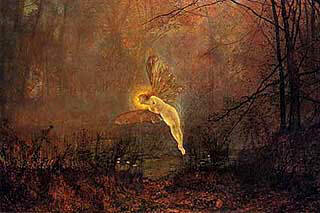 But some believe that sometimes non human or animal beings – like the faerie folk can incarnate as humans. Usually to help the planet and its inhabitants somehow. They do so love this earth! 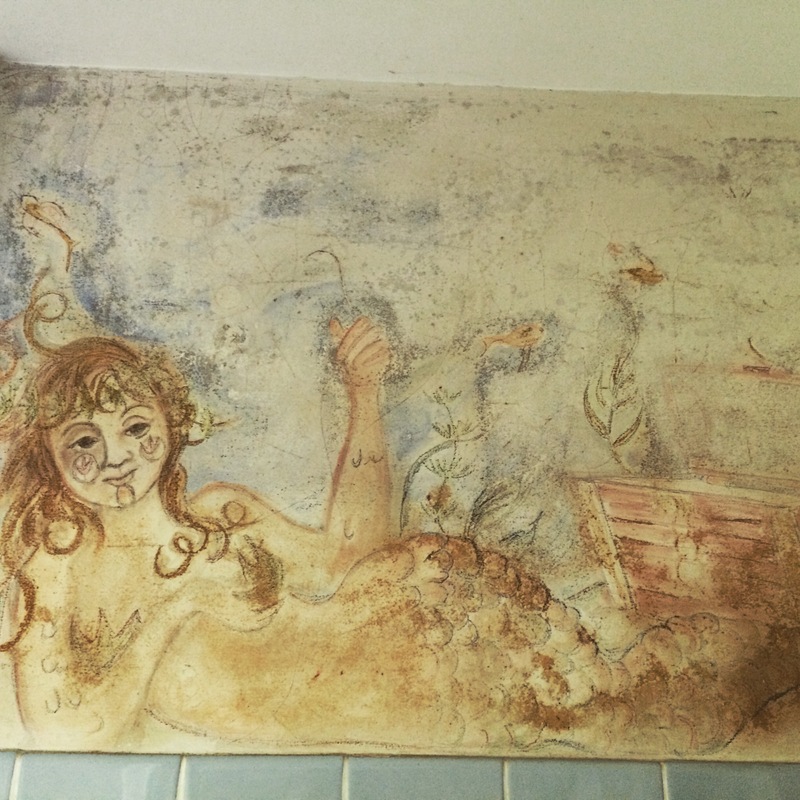 I know two mermaids and think I may have met another one last night. When you stop to think about this and look around, you may catch glimpses of them. Turn on your spidey-sense and you may realize that the odd little dude at the bus stop is some sort of gnome. Or your kindergarten teacher who always took you outside for extended recess was, without question – an air fairy, known as a Sylph. Another possible category of incarnation is those who have faerie blood. In the times long ago faeries commonly mingled with human folk. And naturally there was more mixing and inter-marriages. And babies. Little half fey (an oldie timey word for of the faerie) half human babies. Then for various reasons (this is a really cool rabbit hole to go down) the faerie folk removed themselves. But there bloodline remains. This is the category I believe I am. Although it may sound nuts – It is the only plausible and logical explanation I can find for who I am. Once I came out of the closet and embraced my fey nature, and fully embraced it… Well, I can’t say it has made things any easier. Life is so challenging, is it not? But definitely more fun. People have responded surprisingly well to it also! There are many different types of faeries. (another awesome rabbit hole.) If you like podcasts you can listen to these. It’s a great place to start learning about the different types. Fiona Broome (now there’s a fey name!) a real serious faerie scholar. Check her out here. I am not sure of exactly what type of faerie I may be. Probably some sort of a water sprite. More seriously silly research is required here. How does this effect me? 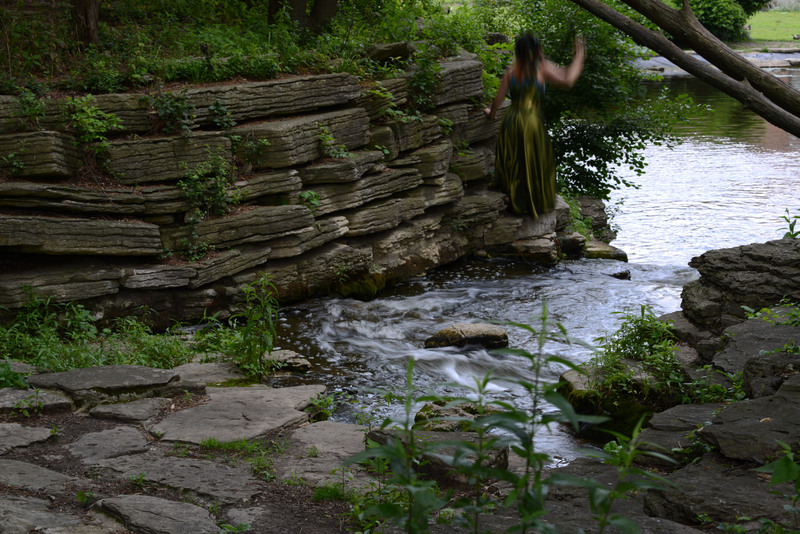 As a faerie I NEED to spend time soaking up the earth’s energy. Hanging out in nature is key. Visiting with the other faeries out there. But I am not a cold weather faerie, so winter in Chicago is rough. My fey blood also gives me an irrisistable thirst for creating and playing. And an even more powerful thirst for freedom. Mostly, the whole fey thing has been very healing in a spiritual way. 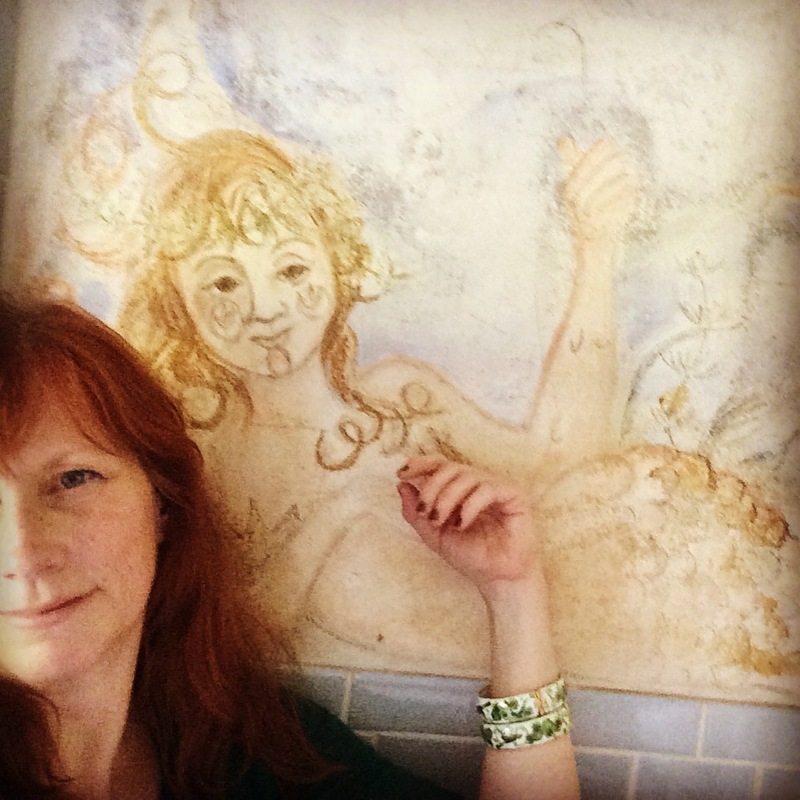 Acknowledging my wild self has opened a door to a beautiful, magical world in what often feels to me like a rigidly, unwholesome, corporate prison. I continue to deepen my connection to this part of me and move more towards freedom and wholeness. Perhaps you are starting to recognize your own fey nature? Perhaps you’d like a faerie meet-up? It is actually quite easy to connect with a faerie. You can build a little house in your garden or inside your home. Leave little gifts for them – cheese, whiskey, nuts are favorite faerie fare. Or just sit or walk in nature, and invite them to visit you. You may not see them directly, perhaps a fleeting glimpse out of the corner of your eye. Perhaps you’ll hear just a hint of a whisper of them through the wind in the trees. David Spangler communes quite a bit with subtle beings including faeries. He was involved with The Findhorn Gardens. His organization is Lorian. He knows all about subtle beings. I’ve taken a class with him. Really great. Currently I am re-reading his book, Subtle Worlds: An Explorer’s Field Guide. Maybe you’ll travel to Scotland and visit Findhorn. Pack me in your suitcase for this adventure, pretty please. 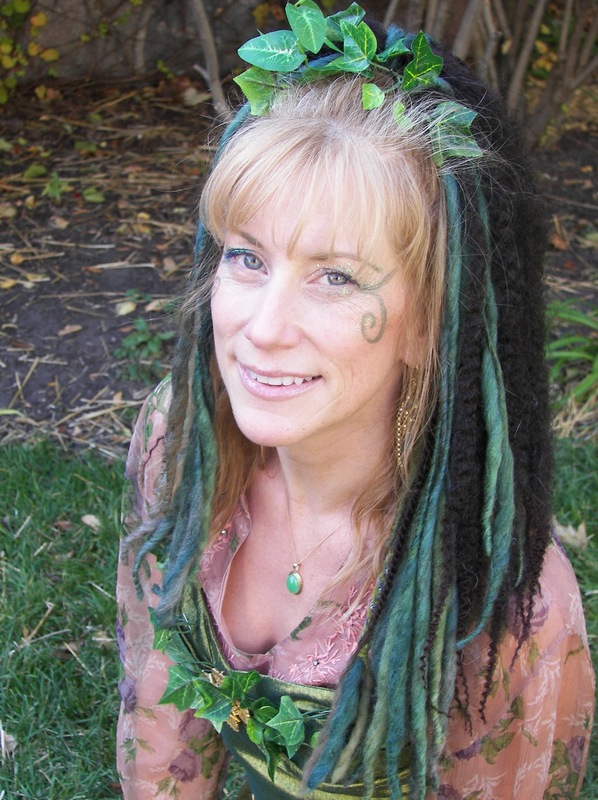 Faerie festivals include the Maryland Festival, which I”m going to next week! Hope I’ll have some exciting news and photos to share. 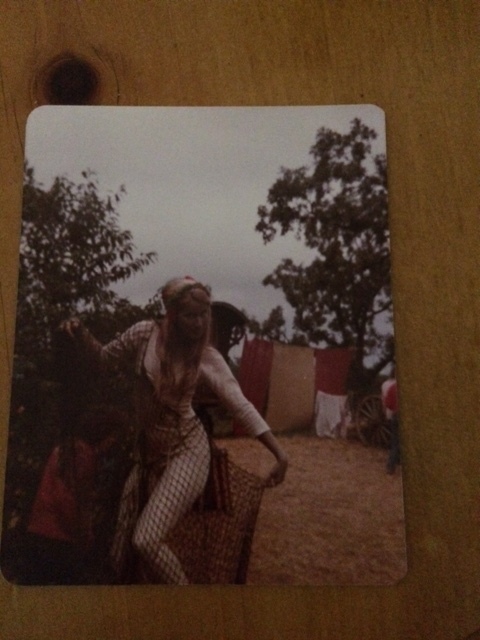 Also the glamorous Faerie Worlds Festival organized by the Froud clan. With live music and artists everywhere. Other Festivals include New York Faerie Festival, Sproutwood Farm Faerie Festival, and Virginia Faerie Festival. Finally there is the gentle Faerie festival in Portland. 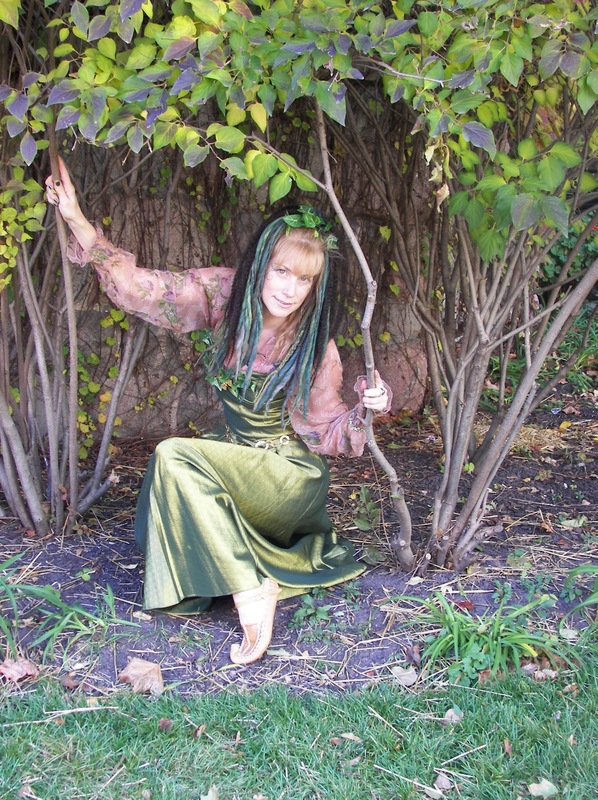 The Fairy Congress, where there are lots faerie loving activities and informative workshops. And there are tons of books! So, are you a faerie? What else would you like to know about faeries? Do you have any photos to share? Sightings to report?